Bethany Lopez: Fall Bundle of Amateur Sleuth Mysteries! Fall Bundle of Amateur Sleuth Mysteries! 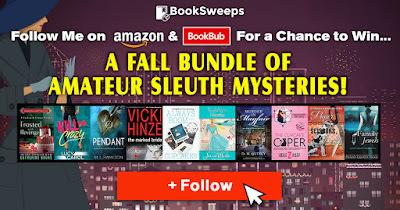 I’ve teamed up with 10 fantastic authors to give away a huge collection of amateur sleuth mysteries to 2 lucky winners, PLUS a brand new eReader to the Grand Prizewinner! You can win my novel Always Room for Cupcakes, plus books from authors like Denise Grover Swank and Lucy Carol.